PAMM – (it is the abbreviation for Percent Allocation Management Module) account is intended to raise investment capital for management by Forex trader. Nowadays investing in PAMM accounts is one of the less risky ways of earning passive income online. The idea behind the PAMM account forex for traders: is as follows: if a trader can trade profitably and has no capital necessary to gain enough profit, he can offer capital management service and earn a reward in the form of percent of profit gained thereafter. The idea behind the PAMM account forex for investor: Investor, who has no deep knowledge in Forex trading can invest own funds in profitable traders and earn money on it. 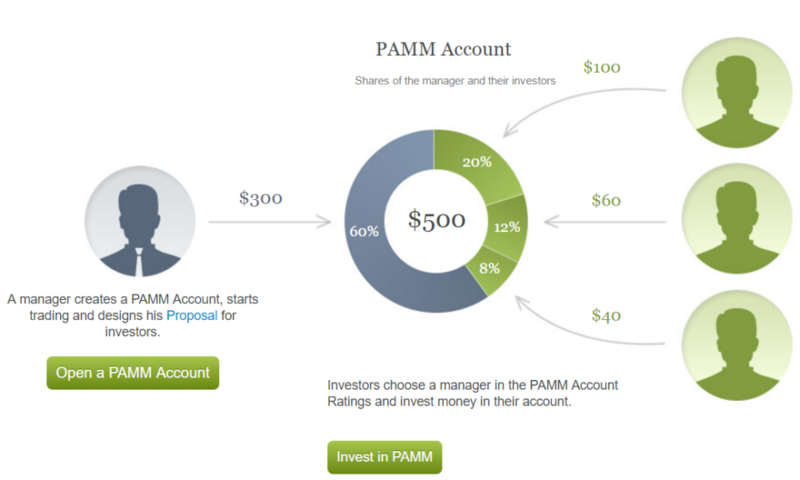 Investing in PAMM accounts is available in an automatic mode. Profits and losses are allocated among investors and PAMM manager according to the percent defined by the manager in PAMM manager offer. Simply speaking, the offer is an agreement regulating relationships between investor and PAMM manager. The profits or losses resulted from a trading activity of PAMM manager are allocated between investors in proportion to their percentage share. Trader opens a special PAMM account. He must have the minimum amount of capital (required to open the account) specified on his forex broker’s website and define the investment terms in a PAMM manager offer (minimum investment deposit, time period of investment, premium as a percentage of profit gained, etc.). Investor checks trading results of the trader with a system monitoring PAMM accounts held with a brokerage company or any other system, analyzes terms set in the offer and then takes a decision to invest. The trader performs trading transactions. 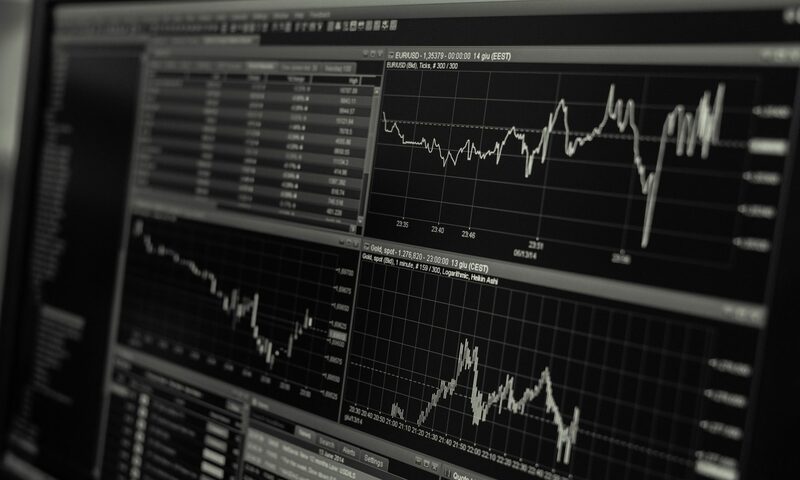 Funds of the trader and investors are used in trading: in theory, it must motivate the trader to be responsible, but it can be otherwise in practice. In the given case you need to set the maximum loss limit (if the feature is available with your broker) or to monitor your account. You should make use of opportunity of early withdrawal of your funds (if it is allowed by the terms defined by your broker) in case of increased risk. PAMM manager gets a reward for his work. PAMM broker acts as an independent guarantor that obligations of a PAMM manager and an investor are to be fulfilled. It results in the following advantage. Ease of investing in PAMM accounts of various PAMM managers within a single service. Investor can deposit his account once and allocate his capital among several PAMM managers. PAMM manager risks not only the investors’ money, but also his own capital. Any investor can view PAMM manager’s equity thanks to PAMM brokers. Sophisticated investors keep away from PAMM managers, who have a small amount of own funds on their accounts. An investor may diversify risks by allocating capital among several PAMM accounts. If a broker doesn’t enable an investor to set the maximum loss limit for PAMM account, the investor’s loss can hit “-100%” value, which means an absolute drawdown. How to choose a manager for PAMM investment? 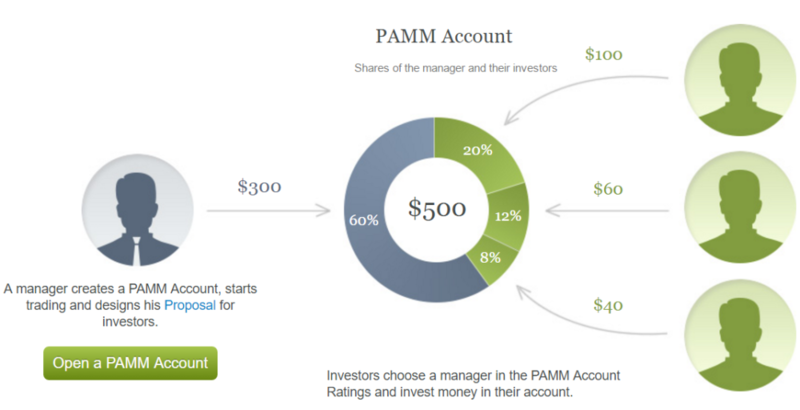 How to select the best PAMM accounts with a rating of PAMM managers. First of all, I filter PAMM managers by account age, while selecting PAMM accounts with a broker’s rating. I think it is the most important criterion of the selection. The first reason for thinking so is that it excludes the possibility of a plain luck of PAMM manager. The second reason is that an account having a long history is amenable to more deep analysis. We recommend considering PAMM accounts aged no less than 6 months. New PAMM accounts opened by proven PAMM managers can be regarded as exceptions; at that, history of their old accounts should be also analyzed. You should consider potential profitability criterion only after you have filtered PAMM accounts by their age and maximum drawdown level. Selection of accounts by their profitability depends on an individual approach of investor. We can only say that the profitability criterion should be considered coupled with the maximum drawdown criterion, since in case of stratospheric profitability risks increase to the same level. In my experience, accounts, where ratio of maximum drawdown to profitability is not higher than 1:3, show the best performance: i.e. 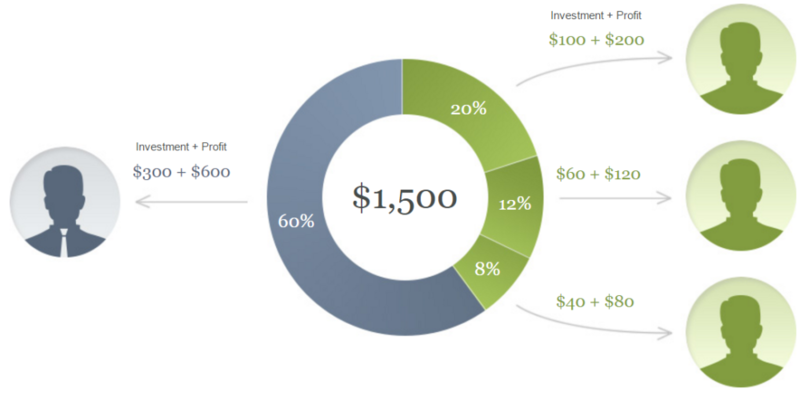 the maximum drawdown doesn’t exceed 15% in case of 5% monthly profit. Few PAMM accounts meet the condition and certainly deserve investors’ attention. You should pay your attention to equity of PAMM manager, while selecting a PAMM account. It is obvious that the higher is equity value, the more own capital PAMM manager risks during trading. The value should be considered coupled with a total balance of PAMM account (Equity of investors + Equity of PAMM manager). At that, it is better, if equity of PAMM manager amounts to no less than 10% of total balance. The logic behind it is fairly simple: a large amount of funds being under management implies a high level of investors’ confidence. The main problem of the PAMM accounts system is that investor is not aware of who manages his capital in particular. It can be both an experienced trader, a beginning trader utilizing a hazard strategy and even a robot developed by a broker with the aim of intentional partial or absolute destroying of investors’ accounts after several profitable time periods of PAMM investing. There is a partial solution of the problem involving an openness of Forex trader: publication of his trading statements, opening accounts with several brokers, negotiating of risks with investors.